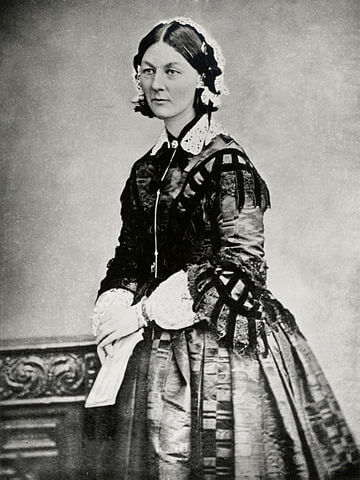 Florence Nightingale (1820 - 1910) best known for founding modern nursing, was an English reformer, statistician and author. She gained prominence while heading a team of nurses treating injured soldiers during the Crimean War (1853-1856) between Russia and the alliance of France, Britain, the Ottoman Empire. 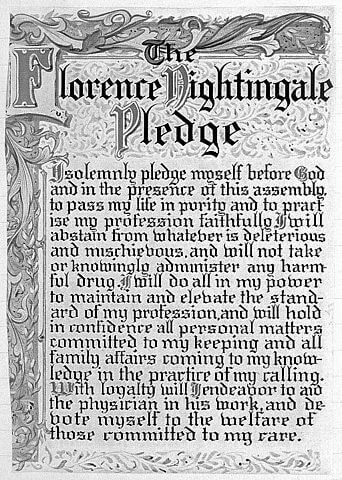 She elevated the profession of nursing and became a Victorian icon, "the lady with the lamp" who arrived in the middle of the night to tend to sick and dying soldiers. Enjoy reading her biography for young people by Laura E. Richards, Florence Nightingale, the Angel of the Crimea. and shall not take or knowingly administer any harmful drug. knowledge in the practice of my calling. those committed to my care.